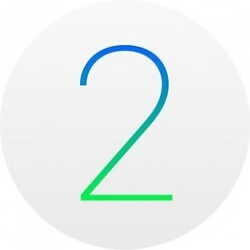 Apple today at its "Hey Siri" media event announced that watchOS 2 will be released to the public on Wednesday, September 16 for the Apple Watch Sport, Apple Watch and Apple Watch Edition. The golden master (GM) version of the software was seeded to developers shortly after the event wrapped up. watchOS 2 was announced last June at WWDC and features native third-party apps, third-party complications, new watch faces, a landscape Nightstand alarm clock mode, Activation Lock, FaceTime audio calls, new health and fitness achievements, and an improved Siri experience. With new tools and APIs available in watchOS 2, Apple Watch apps will be more complex, full-featured, and faster. watchOS 2 introduces several new features developers can use to improve their apps, including more efficient native apps that run on the watch itself instead of the iPhone. The new software also allows developers to access the Taptic Engine and sensors like the heart rate monitor, microphone, and accelerometer.